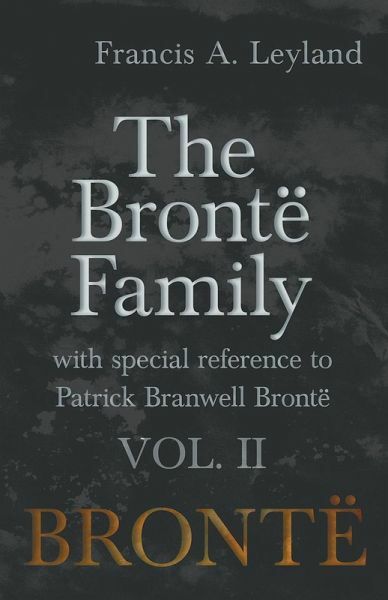 This is volume II of Francis A. Leyland's 1886 work “The Brontë Family”, a detailed investigation into the lives and works of the seminal English literary family. The Brontës were a famous literary family during the nineteenth century synonymous with the West Riding area of Yorkshire, England. The sisters, Charlotte (1816–1855), Emily (1818–1848), and Anne (1820–1849), are now world-famous poets and novelists; and their father, Patrick Brontë (1777 – 1861), was also an author. Numerous novels produced by this family have since become classics of English literature. Contents include: “Charlotte And Emily In Brussels”, “Other Poems”, “A Misplaced Attachment”, “'Branwell's Fall,' As Set Forth In The Biographies Of His Sisters”, “Branwell's Projected Novel”, “'Real Rest. '”, “The Sisters' Poems And Novels”, “Despondency”, “Branwell's Letters And Last Interview With Mr. Grundy”, etc. This volume offers fantastic insights into the people behind the literature, exploring their letters, relationships, friends, and more in wonderful detail. 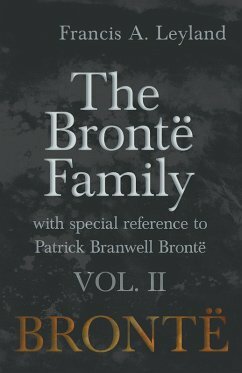 “The Brontë Family” constitutes a must-read for those with an interest in the work of the three sisters, and it is not to be missed by students of English literature or its history. Many vintage books such as this are increasingly scarce and expensive. It is with this in mind that we are republishing this classic volume now in an affordable, modern, high-quality edition for the enjoyment of literature lovers now and for years to come.